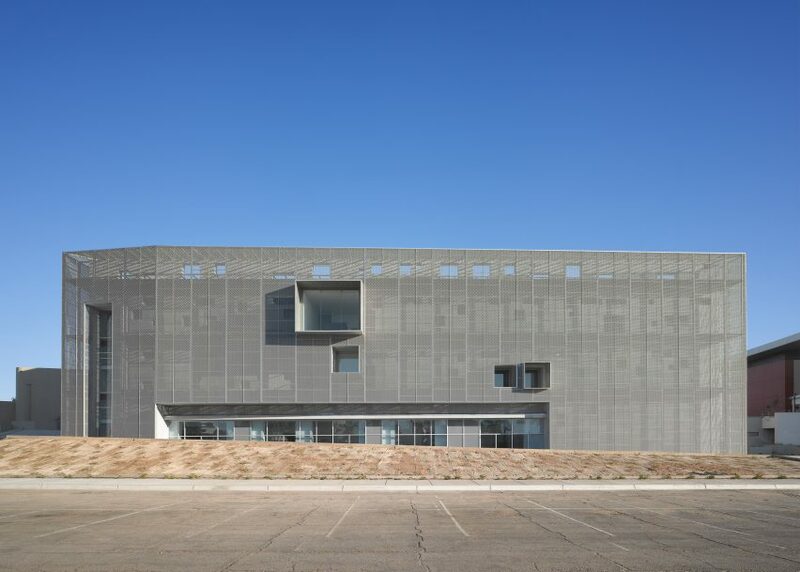 Sat close to the San Andreas fault line, this postgraduate education centre by US firm Studiohuerta features thick walls to help minimise damage from earthquakes (+ slideshow). The Center for Postgraduate Studies at Centro de Enseñanza Técnica y Superior (Cetys) University is located in the city of Mexicali – close to the US border. 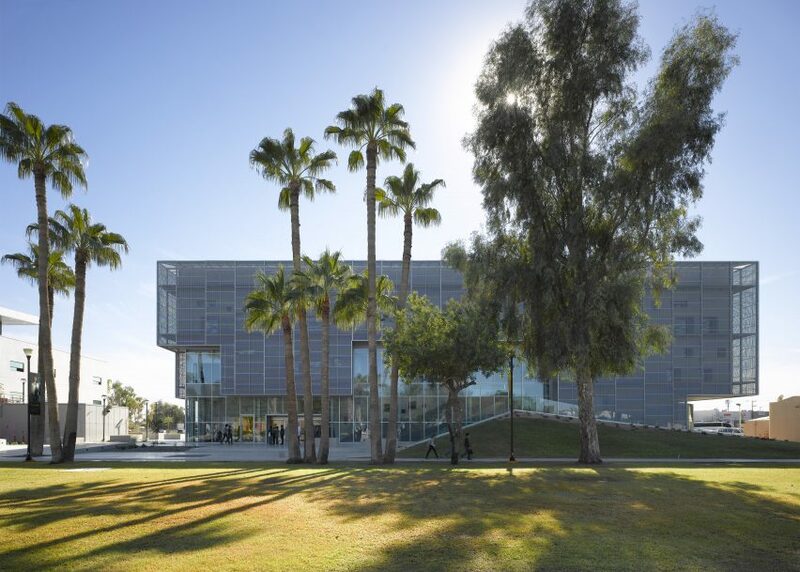 The campus lies just east of the San Andreas tectonic fault – which runs down the west coast of America, through Mexico and into the Gulf of California – so is prone to seismic activity. A 7.2-magnitude earthquake struck the region in 2010, leading to updates of building codes. 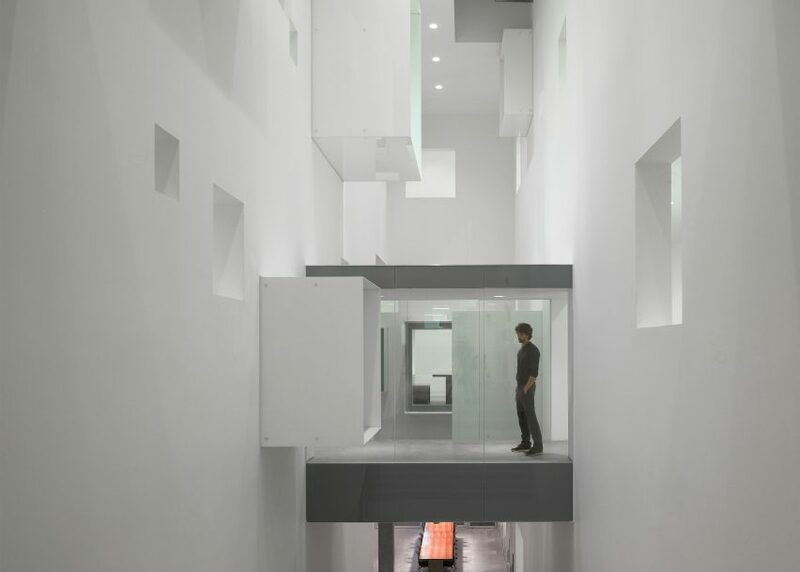 To meet these regulations, Studiohuerta created the 4,400-square-metre building as a "fortified block". Its thick walls are braced with a fixed-base steel structure. They rest on a reinforced concrete slab, which sits on top of the ruins of a building destroyed in the quake six years ago. 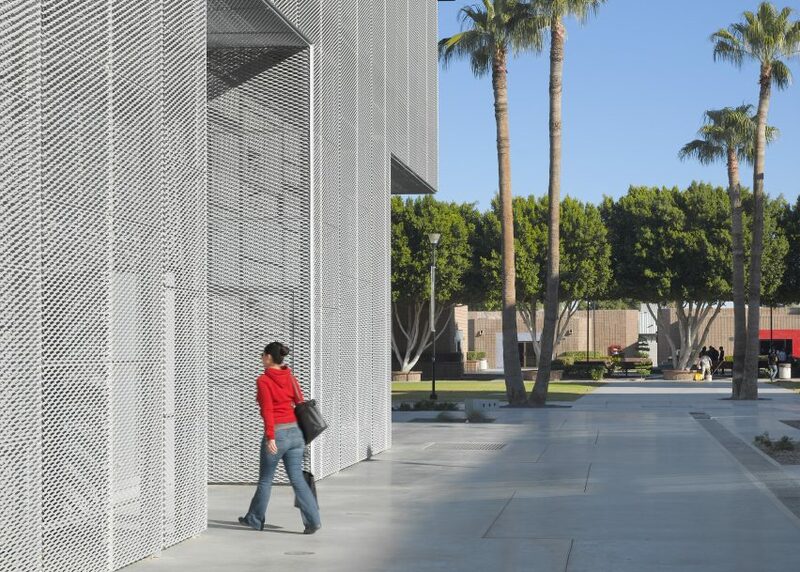 These walls and landscaped mounds wrap around the southeast and west sides, while the northern side features glazed portions that face the university's palm-fringed central quad. The majority of the structure is wrapped in a layer of aluminium mesh, which helps to mitigate heat and glare indoors. "The thick exterior walls house the building's anti-seismic structure and help isolate interior and exterior temperatures," said Studiohuerta, led by architect Gabriel Huerta. 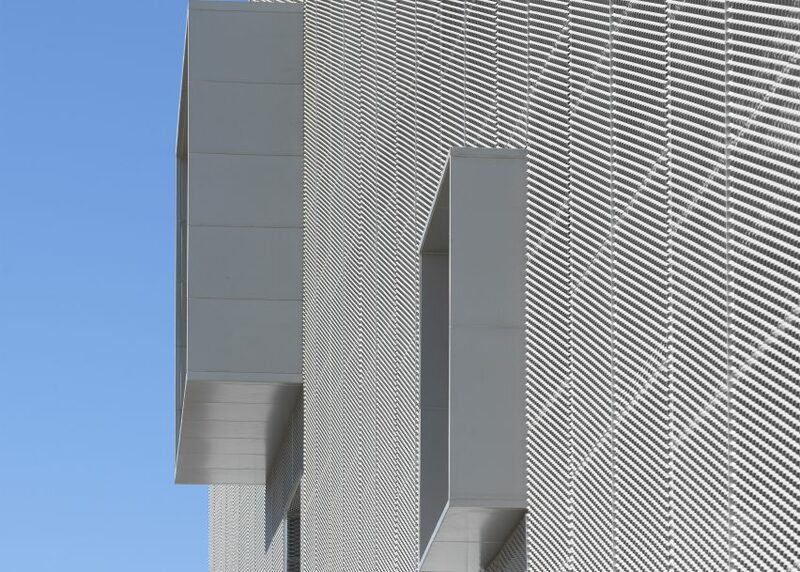 "An expanded aluminium screen offset from the perimeter envelops the building, creating an additional layer that allows for natural air circulation and reduced heat gain." 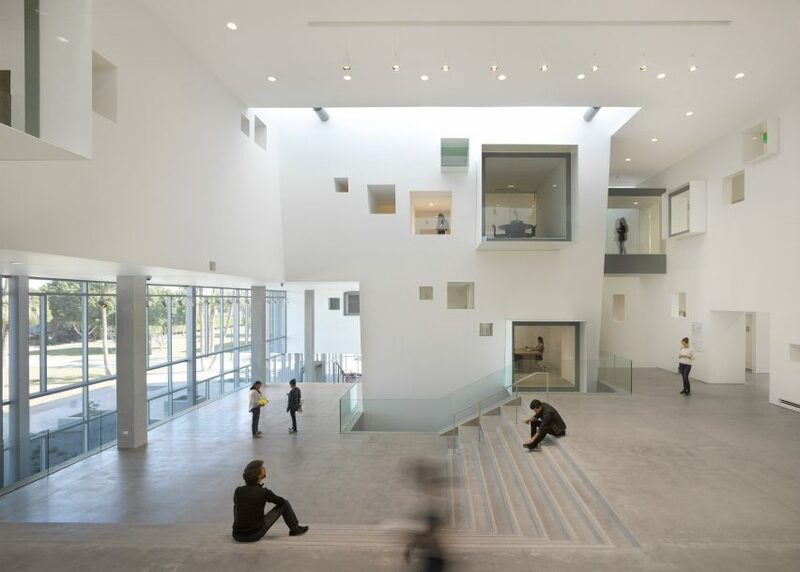 In places, the facades are punctured by doorways and large square windows – a feature mimicked on the interior. 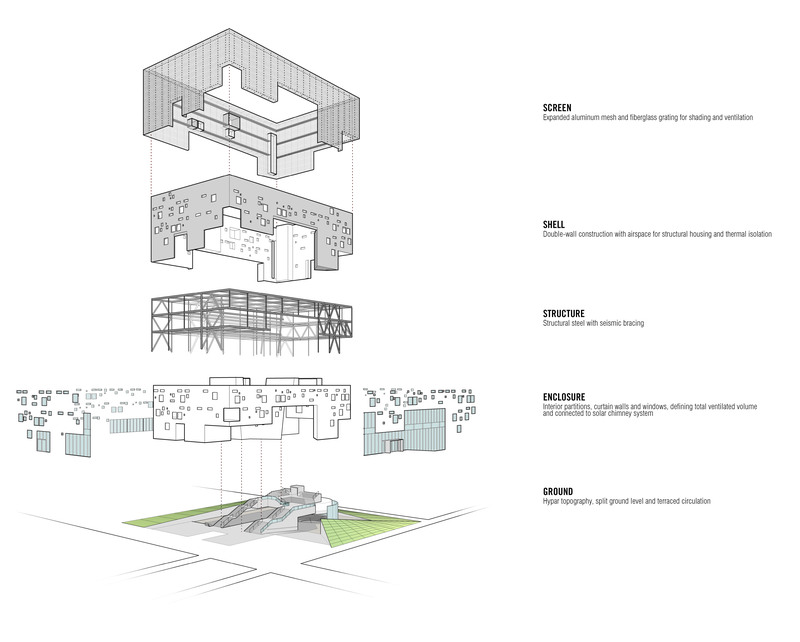 The internal spaces are spilt into public and private zones. To the north, a cascade of wide concrete stairs runs up the side of the building. This atrium space is the largest of several "thermal centres" designed to aid passive ventilation, where hot air is drawn out through a set of chimneys. Teaching spaces and private study rooms on the other side can be glimpsed through windows, which are scattered across the dividing wall and vary dramatically in size. 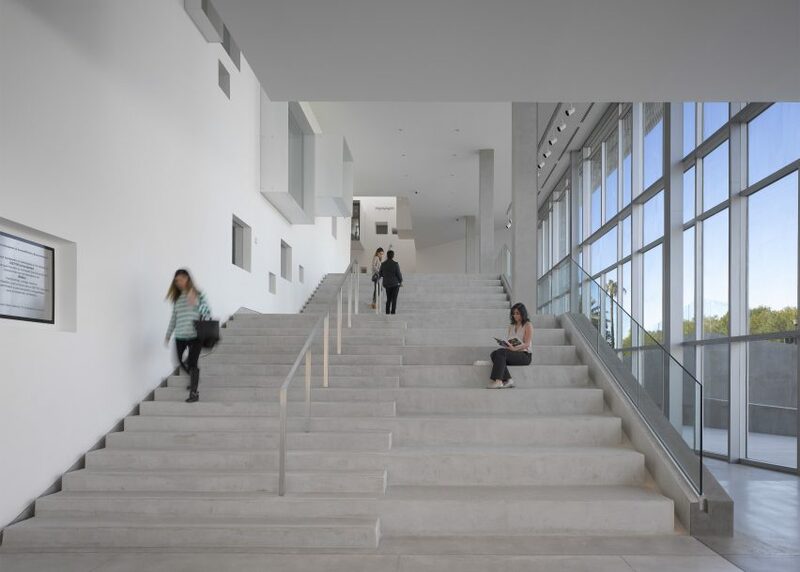 "Though shielded, the building's private zone interacts with its public spaces and the campus through a series of cubes and incisions that reveal the building's deep interiors and frame views to both the outside and within," the studio said. The thick walls provide sound insulation from the noisier hallways, which spiral around the centre's three floors. White, glass and concrete surfaces create a minimal palette throughout the building, and the monochrome aesthetic is continued with the furniture. 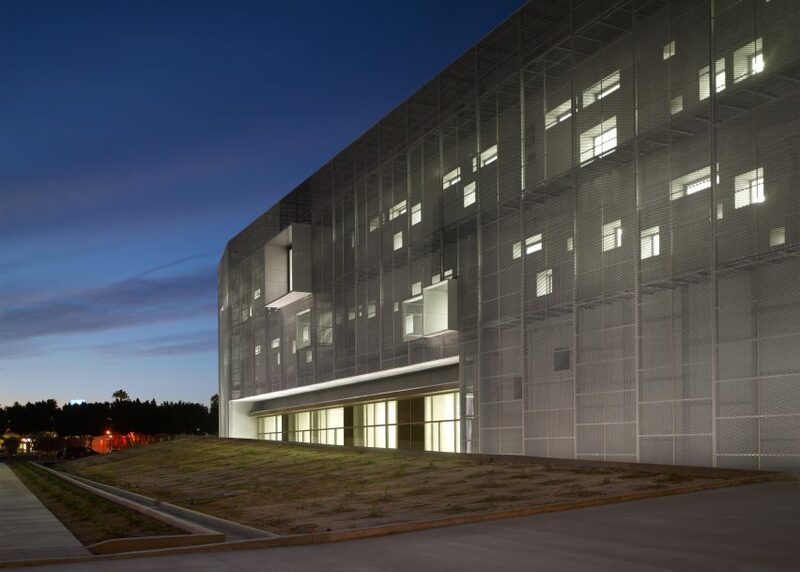 Other recently completed educational buildings in Mexico include a new campus for the Centro art and design school in the country's capital, and a university model-making workshop in Guadalajara.